DATRI launched it’s yearly ‘Cycle to Gift a Life’ event along with a Donor- Recipient Meet on the 8th of March, 2018 at Chennai. 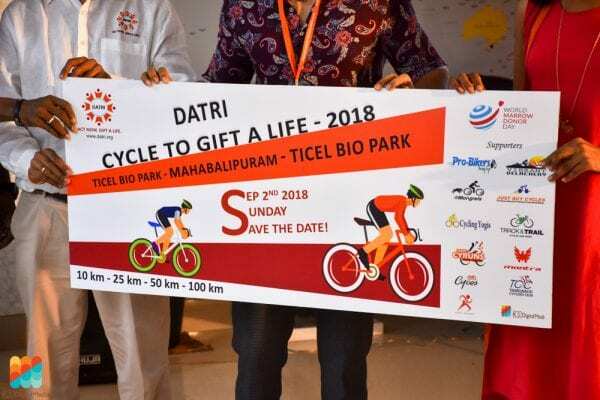 ‘Cycle to Gift a Life’ is held every year in view of the World Marrow Donors Day celebration. This year, the event aims to attract 2000 participants. 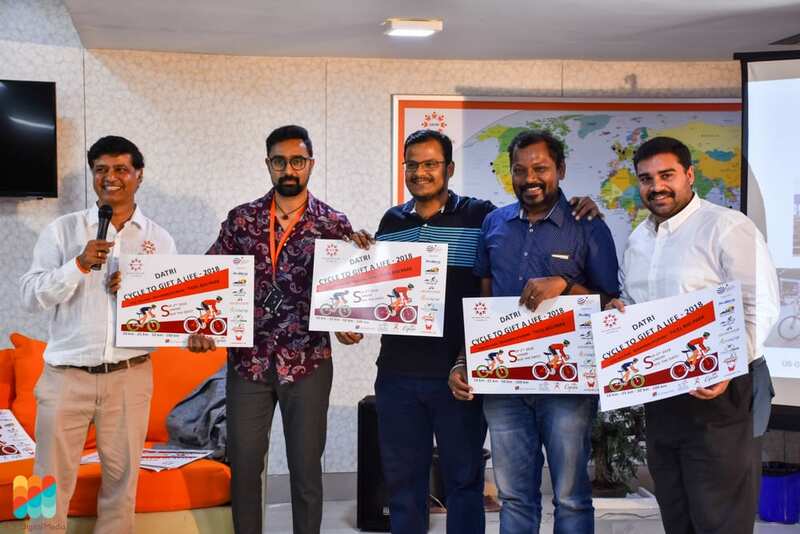 The launch was inaugurated by a well-known Tamil Actor Prasanna who himself is a registered blood stem cell donor. The event was also attended by an ample number of well-known cyclists from across the city.